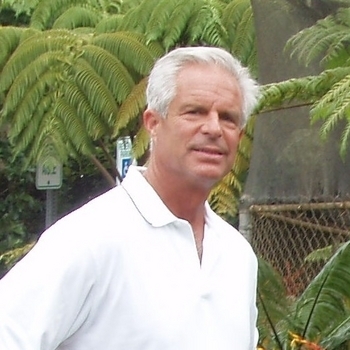 Expert advice and great price. We now offer the complete line of Easy Pro Pond Products at the lowest prices online! 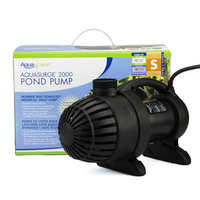 We specialize in Aquascape Pond Supplies Aquascape pumps, parts, pond kits, pond lights and water treatments 20% below MSRP. 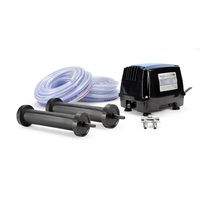 Aquascape Pumps: Choose the right pond pump for pond size and water volume. 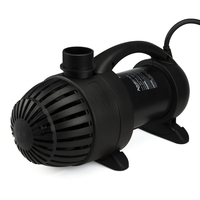 We offer free shipping and prompt delivery on most models of Aquascape Pumps. 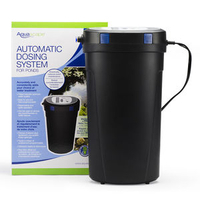 Water Treatment: The new Aquascape Dosing System makes it easy to manage pond water treatments and keep the water clean and clear. Pond Lights: Choose from our large selection of landscape and pond lights including LED, Halogen, Underwater, Strings, and Spotlights. Building a pond? Check out the pond kits and all the helpful construction videos on our site. Cold water bacteria for winter pond manitenance. 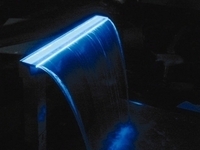 Provides water treatments precisely and on schedule. 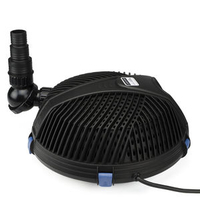 Free shipping and 3 year warranty on new Aquascape pumps! 1. Clean out your pond, whether that means a full cleanout or just picking up a bit and rinsing things off. Enjoy our easy-to-follow spring cleanout instructions. 2. Check pond pumps to make sure that it’s clean and functioning correctly. Your pump is the heart of your water feature and needs to be in tip-top shape at all times. Learn more about water feature pond pump maintenance. 3. Fix any leaks in your water feature. Constantly adding tap water to make up for a loss of pond water means the constant addition of nutrients which will eventually promote algae growth. 4. Remove algae, leaves and other debris left over from the season before. This is crucial because an excess of decaying debris will add to the nutrient levels and the algae in the pond. 5. Start adding beneficial bacteria treatments and continue to do so regularly throughout the season. It competes with the algae for available nutrients, starving the algae of its food source. Use Aquascape’s Automatic Dosing System to avoid the hassle of consistently adding and choosing the correct water treatments for your water feature. 6. Add plants to control algae. Since plants directly compete with algae for nutrients, they are the most important addition to the pond. Using a wide variety of plants will not only add to the natural look of the pond, but will reduce algae growth as well. 7. DO NOT overfeed your fish. 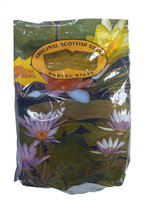 Fish food that is not eaten will add more nutrients to the pond, helping feed the algae. 8. Last but not least, have fun with your water feature! Spruce it up with new landscaping, add a fountain within your feature, add lighting or just change up some of the rock work! Get creative because after all, your water feature is your masterpiece to enjoy and show off to others. The Pond Outlet is on Facebook! Join our active Facebook community We welcome you to share ideas, questions, photos, and articles of interest.